15" Crates Light Weight Trail Saddle. 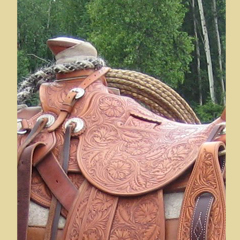 We believe a saddle must fit both you and your horse! Therefore, we almost insist you take the one you choose for a trial run. We will obtain a pre-authorization on your credit card and you'll have one week to see if it fits. We ask that you keep it in new condition.